Mastering Contexts, strategies to work at one’s best in new settings (Cortina Editore, Milano 2011) synopsis by U.T. The world has changed. Young professionals nowadays need to be well trained, highly focused, and they have to be clear about how to organize themselves and their work. They need to know limits and scope of what they can offer and what to expect. This requires not only a greater awareness of one’s own abilities, but also of the work contexts one joins. Young professionals have to find and establish their own roles and positions, working respectfully in partnership with employers, clients and different agencies. For this to be successful, they cannot rely on improvisation, but need to acquire specific reflective skills. This book offers pragmatic know-how as well as a conceptual framework for entering a new work setting, for being able to integrate whilst at the same time finding appropriate space for initiatives and building one’s own professional career. Mastering/learning contexts is a Batesonian construct (1979) (“Learning life context has to be discussed as the relationship among two creatures …”). The book pursues the idea that entering into any “new” context is a kind of clinical encounter and event, both complex and demanding. This is the case for professionals from very different disciplines, be that psychology, psychiatry, family therapy, nursing, education and other allied professions in the mental health field. This is also true for those starting work in hospitals, schools, prisons, training settings, child guidance settings and in private practice. 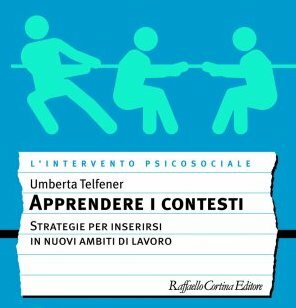 This book, originally published in Italy by Cortina Editore (2011), takes into consideration mental health work in public social contexts and deals with the theoretical and pragmatic frameworks required to join and work at one’s best, following the mandate. Using systemic concepts, it reflects on how to introduce oneself in a new place of work, how to find one’s position and create working relationships with colleagues who may have been working together for a long time and who share a common working model. The book argues that the same concepts apply to all members of the helping professions, provided that context is embraced. Systemic concepts are put forward and shared via practical examples, from the disciplines of psychology, psychiatry, social work, education, nursing, teaching and management. The book addresses all professionals working in socio-health settings and other contexts connected with welfare, whatever their position. It is meant to help them to learn about the power of systems and organizations and how these influence those who are part of them; if they become aware of the importance of taking a ‘break’ and reflect on what is going on, it will equip them to ‘manage’ systems and themselves so not to risk to become iatrogenic. This approach enhances the possibilities of reflecting on the different scenarios and choices which professionals can, or may have to make. Specific clinical pathways are proposed so as to help professionals integrate into a working group, connecting with others, increasing their confidence, and learning to avoid possible communicational traps and undesired outcomes. In this book, each basic systemic construct is presented both theoretically and through more than one clinical example. It is interesting for every setting in which mental health professionals need to enter a new job context. The book is aimed at people who need to become pragmatic about what to do once they will become operative. 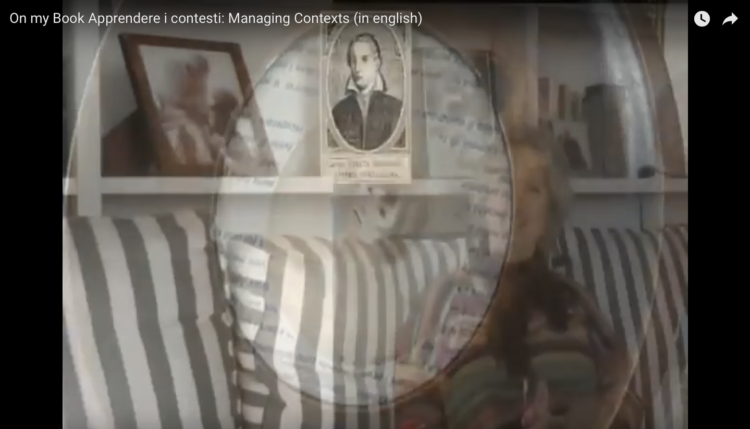 In Italy it was adopted by a University course in Psychology Foundations of psychology of the organizations, Prof. Cristina Zucchermaglio and was found very helpful by junior psychologist in private systemic training courses. It is also aimed at senior professionals who want to rehearse their working procedures and want to reflect on their doing. The book is the result of 15 years of supervision in public and private settings. It collects the clinical thinking every professional needs to do in order to work at her best. To my knowledge there are no present books exactly of this kind. – M. P. Nicols, The essentials of family therapy, Pearson/Allyn & Bacon, 2007, which deals with family therapy while Apprendere i contesti proposes a more practical clinical focus not on psychotherapy but more on working in different context with different kinds of clients at a first order level. 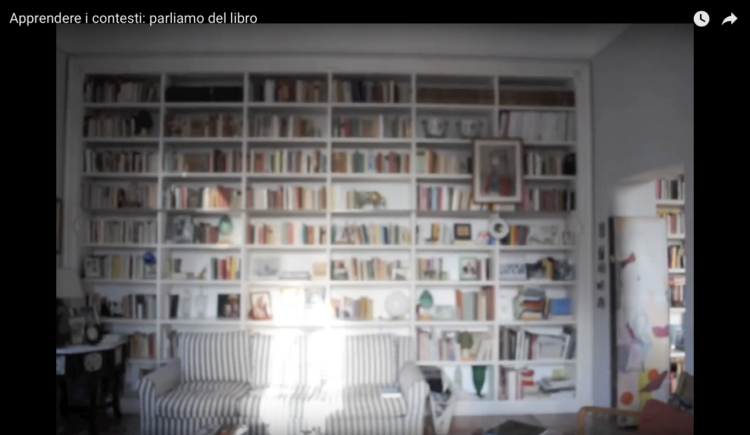 – Mara Selvini Palazzoli’s The magician without magic (on school interventions, 1976 in Italian, translated in Spanish El Mago sin magia, but not in English) which still has a great success in Italy and Spanish countries and still is considered a “must book” in training. – Stefano Cirillo’s Il cambiamento nei contesti non terapeutici 1990, (El Cambio En Los Contextos No Terapeuticos – Spanish Edition 1998). Similar could be books which propose systemic thinking and doing in mental health settings which I am not aware of. I think this book is necessary in this period in time for its structure which is respectful of the socio-sanitary reform taking place in England. It responds to the needs of young professionals, who could advantage of a systemic frame even if they don’t declare themselves systemic.